Weather experts have recorded November 2015 as the dullest in terms of sunshine for 86 years. Today we were lucky along with other visitors to be treated to a brief sunny spell on our visit to Slimbridge WWT. 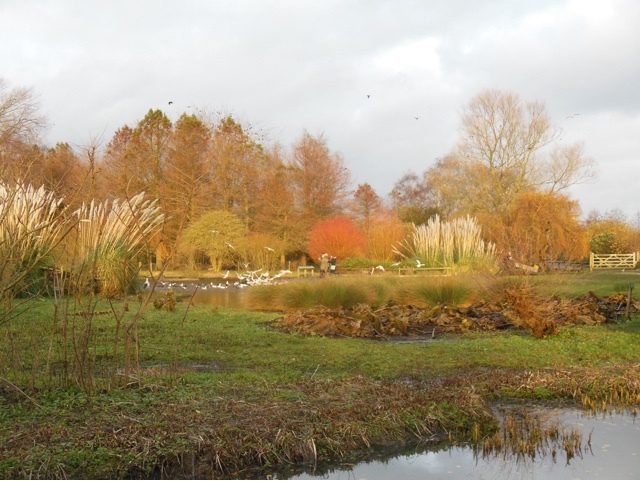 The willows were showing off their many colours as the sap starts to rise in the bare stems, together with the pampas grass heads. We visited at high tide and the estuary was a delight with flocks of Golden Plover, Dunlin and Lapwings swirling together with large numbers of ducks, geese and swans. December is a good time to visit.